Manehattan Update #46: The Stable 207 Com Tower + FiMFic Covers! Gah. Extremely frustrating. The consequence, of course, is that I don't have a lot to show you at present, at least in the way of new stuff. Other surprises are in the works, but I want a day-one reveal of it, meaning you can experience those surprises the moment we announce them. So instead, I'm unlocking a part of Stable 207 you haven't seen before! 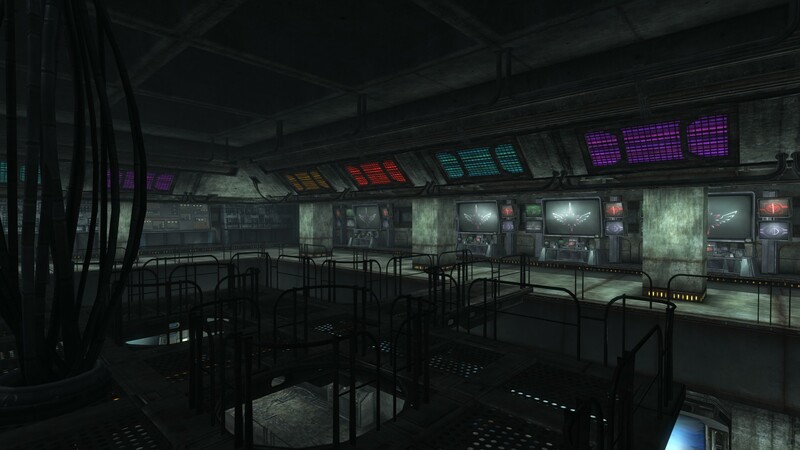 Stable 207 is (currently) divided into several different sections. 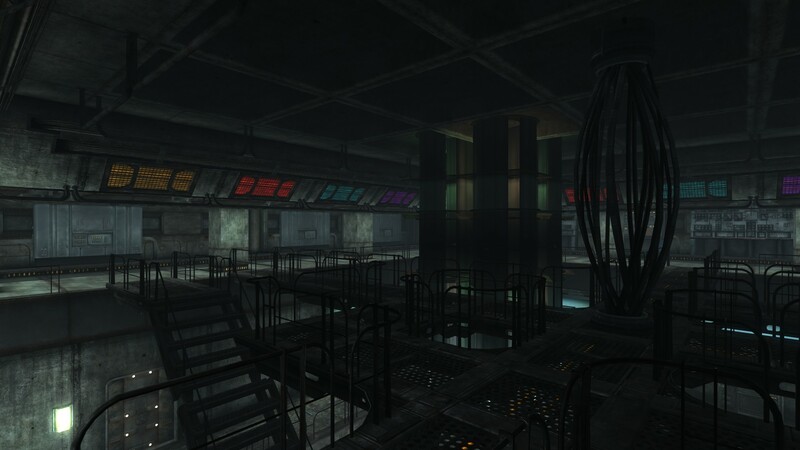 There's Auxiliary Support A, Auxiliary Support B, Main Level, the Living Quarters, the Com Tower and the Com Tower Exterior. You've all seen the Main Level (it's very close to what we first revealed in our Teaser Trailer and two weeks ago we gave you a little sneak peak at the Living Quarters. Today, you get to see something different. The Communications Tower of Stable 207 is built directly into the mountainside with an enormous platform jutting from the rock under the shadow of Stable 207's powerful satellite arrays. 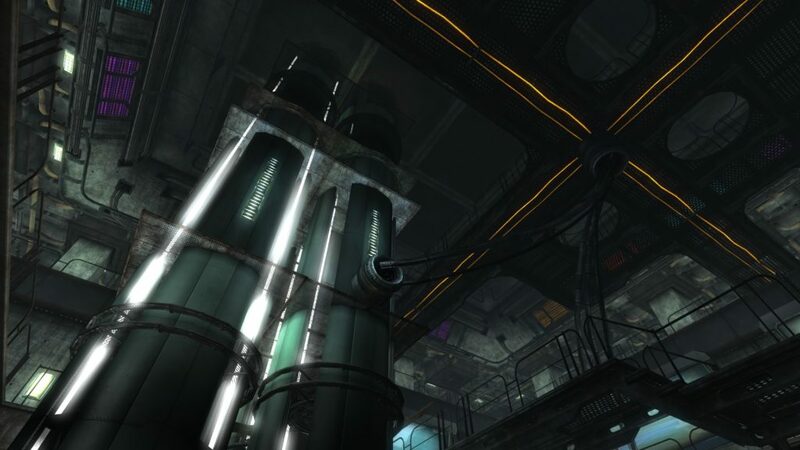 A massive column of arcano-tech conduits and spark generators dominates the center space of this advanced section of the facility. 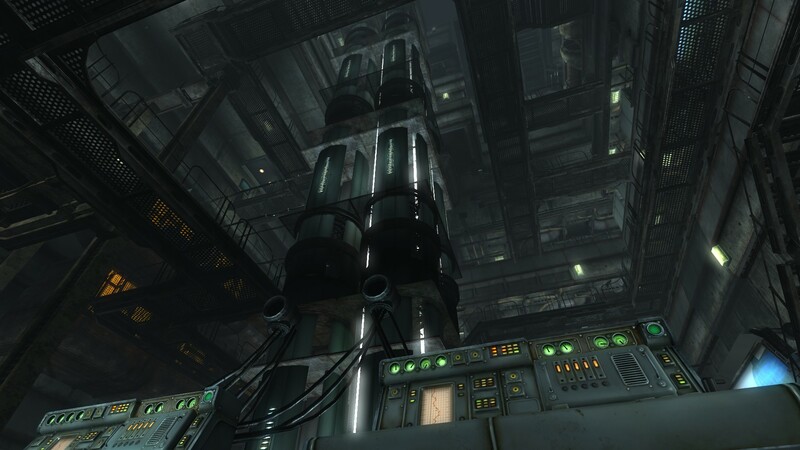 Ringed by numerous catwalks, utility access corridors and storerooms, the communications tower of Stable 207 rivals the complexity and capability of the MAS Emergency Broadcast System hub in Tenpony Tower. It is from here that DJ-PON3 tweaks and adjusts the signals from his sources across the Wasteland, giving tips and saving lives as far as his voice can reach. 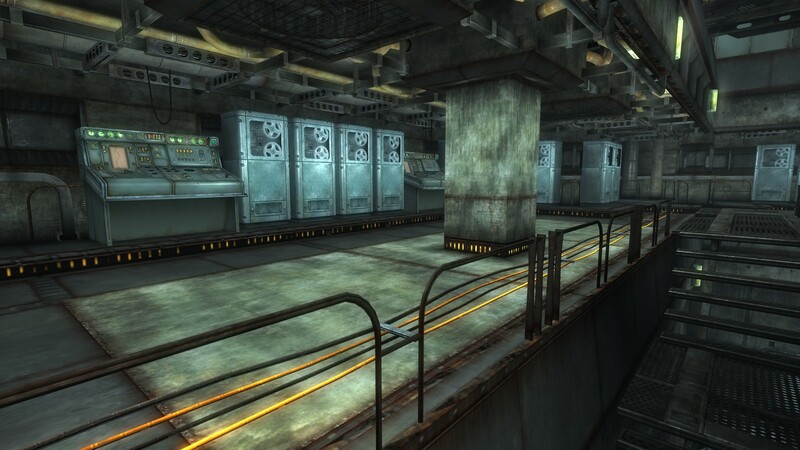 For those of you who remember, there's a unique level within the Fallout 3 DLC Broken Steel. 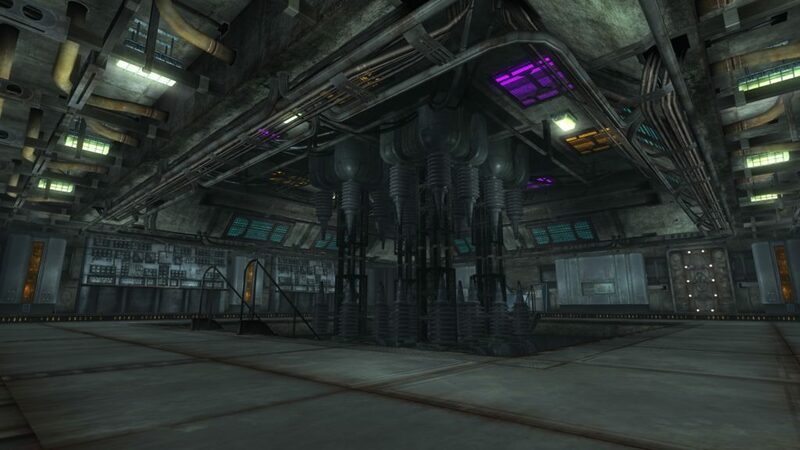 It's your first mission--where you see the fate of Liberty Prime--and you take out an Enclave bunker. 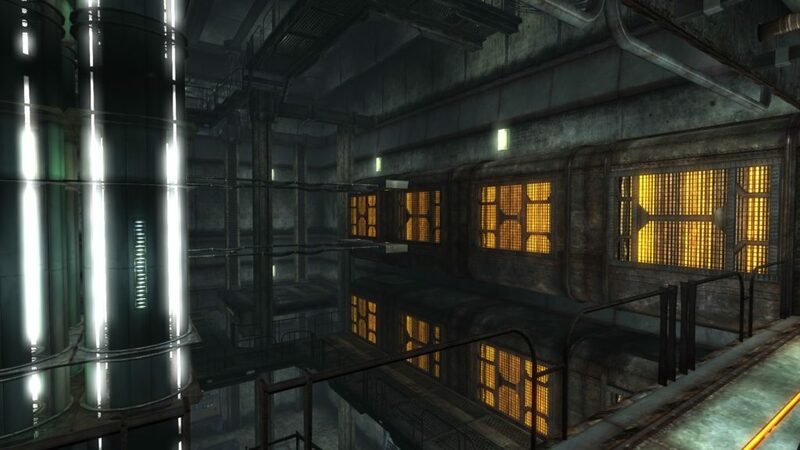 This chaotic encounter was one of the few places in Fallout where you had vertical-based combat in a tower structure (and you also did it with a team of Knights) However, even that was only four stories high. The Com Tower is twelve stories high. And it's all visible and accessible from the start. What's worse...your enemy has the high ground. That's right, you'll be fighting up the massive superstructure of the Com Tower. You'll be racing against time to stop the nefarious invader's plan for Stable 207 that would silence DJ-PON3 forever...and cost you and your friends your lives. 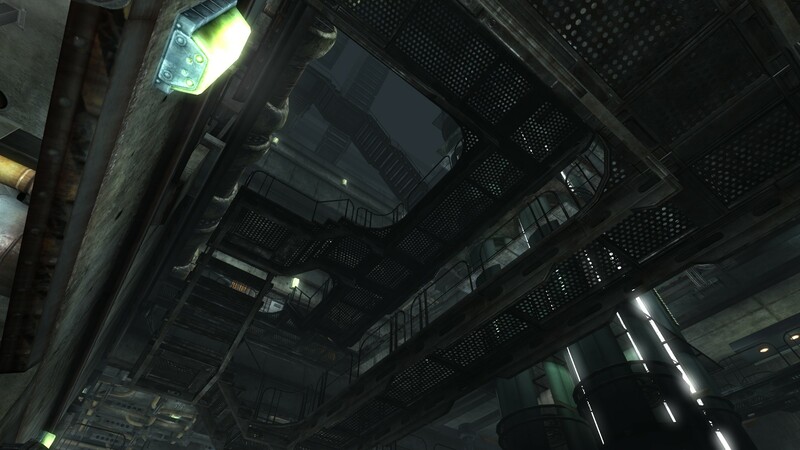 You'll fight through hijacked security systems, hardened shock troopers, lethal tech analysts and much, much more. And at the top of Stable 207, you'll be dealing with the deadly Lieutenant Colonel Windfury. And he's not alone. Because he called in air support to help take you down. Without further ado, I give you the Stable 207 Com Tower! On a side note, the following gif sums up my level of sanity today. 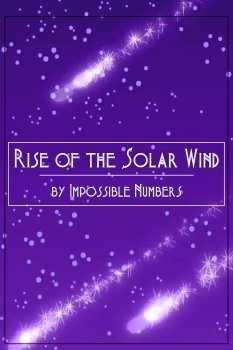 Now, as for a personal note, as I mentioned in a post a few weeks ago, I'm also doing Cover Art for various FiMFiction stories. I've sent them off to the authors and most of them have decided they liked them! So go check out the stories. If you want to see all my various cover designs (it's a fun hobby for me), head on over to the album here! That's all for this week folks! We'll see you soon! Manehattan Update #39: Stable 16 & Appleloosa Valley Music Trailers! Novel Idea here with your usual Manehattan Update. As promised, we have the next two new music trailers. Though the Smuggler’s Run Theme remains firmly ensconced at the top of my favorites list, he definitely knocked it out of the park with both of these pieces. The best part about working with Corvus is that I can give him this really abstract idea of what I’m looking for in level music (or just show him what I have done for the level itself) and he can just whip up music that matches it more perfectly than I imagined. Stable 16 is inspired by the ill-fated Stable 24 in Fallout: Equestria with one very specific difference: there’s much more than just monsters in the depths of this Stable. I wanted haunting, eerie music where you were sure something was about to jump out at you…because it will…oh it will. 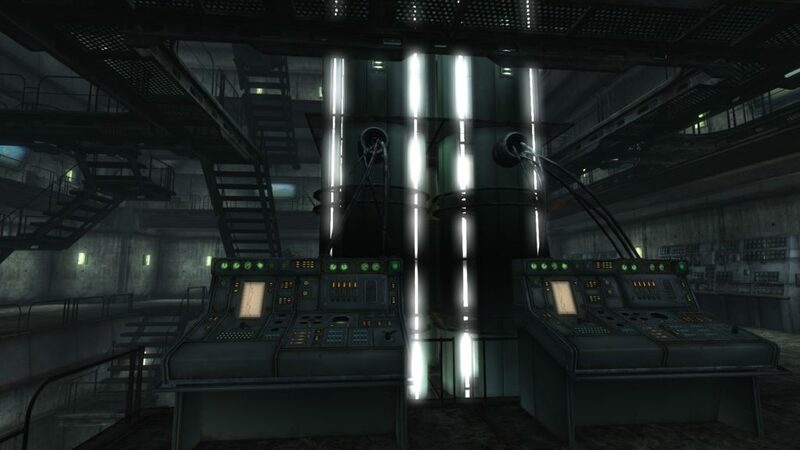 I remember when I first walked through the level in-game after my first design pass. Hell, it creeped me out and I designed the damn thing! Corvus nailed it. So if you haven’t heard it, hit the link below to check out the new music trailer for Stable 16! Next we have the worldspace music for Appleloosa Valley itself. You’ll be hearing this a lot as you wander through the expanse of Appleloosa Valley, journeying to Stable 16, New Appleloosa, Topaz Lake, the Rock Farm and more. I wanted something that gave a feel of fresh wide-open spaces, a place where you still have that frontier feel that New Appleloosa gave you, but a bit wider. I wanted something that felt a bit like Firefly’s frontier worlds. The Wasteland is here, but it isn’t in the soil. Remember, Appleloosa Valley was never hit by a megaspell through the protection of the Rock Farm’s defense grid and the unexpected help from the nearby Lucky 38. We also wanted something a bit more iconic and memorable than the basic New Vegas Wasteland theme, but wouldn’t be too distracting from the gameplay. (It’s a hard balance). But now, sit back and relax and listen to the wonderful strumming of the Appleloosa Valley theme. That’s all for this week folks, nice and short. Next week, you’ll be getting the last two of the musical score trailers. 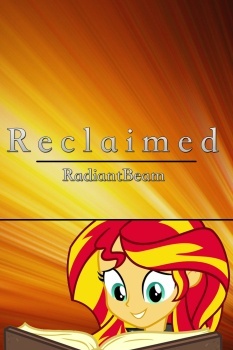 But did you know that the week after that is the one year anniversary of the Manehattan Project? That’s right. 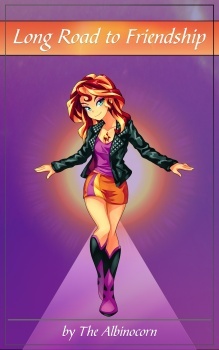 On May 7, 2015, we unveiled Gardens of Equestria to the world with a full website, a remastered edition of Fallout: Equestria audiobook (the only complete version of the audiobook available at the time) and the GoE Teaser Trailer. Wow…it’s hard to believe we’ve come so far since then. So on May 5, 2016, we’re going to have some really cool and really special for you. A few really cool somethings to celebrate this special anniversary. It’ll blow your mind. Hell, another cool idea just came to me as I was writing this and we’ll be doing that too! You’ll definitely want to be here on May 5. Because it’s going to be awesome. Manehattan Update #38: New Music Trailers! Sorry about the last couple weeks. We’ve been hard at work on a multitude of projects, but some of them are secrets and some of them aren’t quite ready enough to show you. After all, we only want to provide the best for you! It’s in that vein that I am so very proud to present to you the latest in our series of trailers and the beginning of our music relaunch! Now, I don’t know if you’ve noticed, but in Fallout: New Vegas, the music tends to be on the subtle side. In fact, in many places, it’s barely noticeable at all. 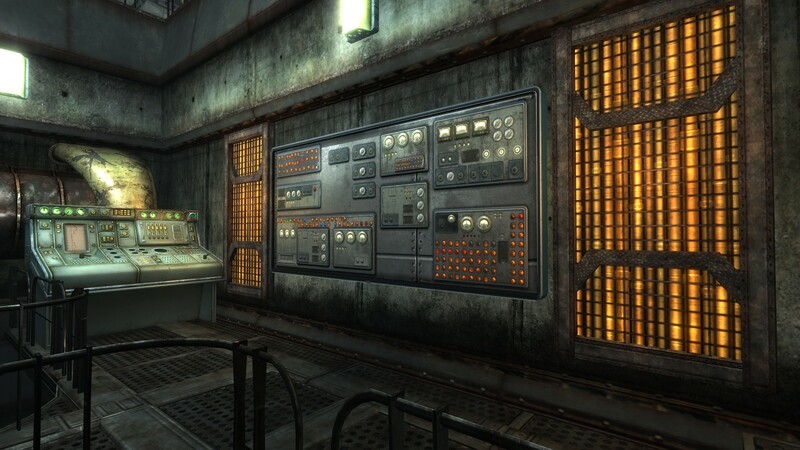 Thankfully, Fallout 4 has taken a different approach (My favorite in-game music has to be the one in the Switchboard and the Railroad HQ) and that’s the approach we want. Music is an integral component of any gaming experience. I’ve said it before and I’ll say it again…some of the best gaming experiences I’ve ever had were to epic scores. Such as my all-time favorite, the finale to Mass Effect 2. But we wanted to give you a better picture of just where you’ll be hearing this music in GoE. So we’ve designed a new series of trailers highlighting some of the awesome areas awaiting you in This Coming Storm. Blue Nova, our Creative Asset Director, took charge and created some cool subtle visualizer effects to the Manehattan Shield along with setting up the slideshow. Exterior shots were done with the help of the wonderful Nevada Skies mod (which we strongly recommend no matter what!). Music, as always, is by our incomparable and irreplaceable Music & Audio Director, Corvus. Level design and trailer design is by Novel Idea. Now let’s get to it already! That’s it for this week folks! Have an awesome day and we’ll see you next week! The Manehattan Project Update #33: Congratulations Overmare Studios + YouTube Updates! Been a heck of a week in the Fallout community eh? We get news that the GECK is coming out in April in between DLCs for Fallout 4, the Fallout: Equestria Animated Series project releases their orchestral score and of course, Overmare releases their Wave 3 Tech Demo for the Fallout: Equestria game! 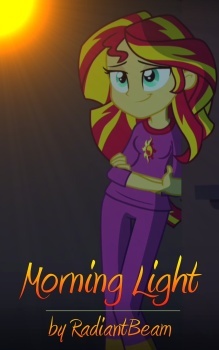 Congratulations to everypony over at Overmare Studios. I know they’ve been working insanely hard to get to this point. Things look pretty sweet, though I haven’t personally had a chance to dig in deep to the game yet. I have learned the the game doesn’t like being run on a virtual machine though. ^^; (Yes, shocker, I actually run primarily on Mac using either virtual machines or Boot Camp…and they also mentioned that it was designed for higher-end systems which a virtual machine is definitely not). This is a huge accomplishment for them. After all, as I understand it, they started as a mod project before they decided to buck the GECK/Gamebyro engine and go into Unity 3D. You can do just about anything in Unity. Did you know that Blizzard’s wildly popular Hearthstone actually runs on the Unity engine? So just think, if Blizzard Entertainment can harness Unity to create something like Hearthstone, the final product for the FO:E game is going to be pretty damn sweet. So if you haven’t checked it out yet, you can get the tech demo here and the trailer below! Now, let’s talk audiobooks shall we? I hope you’ve been enjoying the latest version of Fallout: Equestria (The Manehattan Edition) and the daily updates to the playlist! Remember, stay tuned on our Twitter Account to know the moment they go up or just subscribe to us on YouTube! Either works! You can find the full playlist below! Hmmm. Lot of links in this post. Oh well. 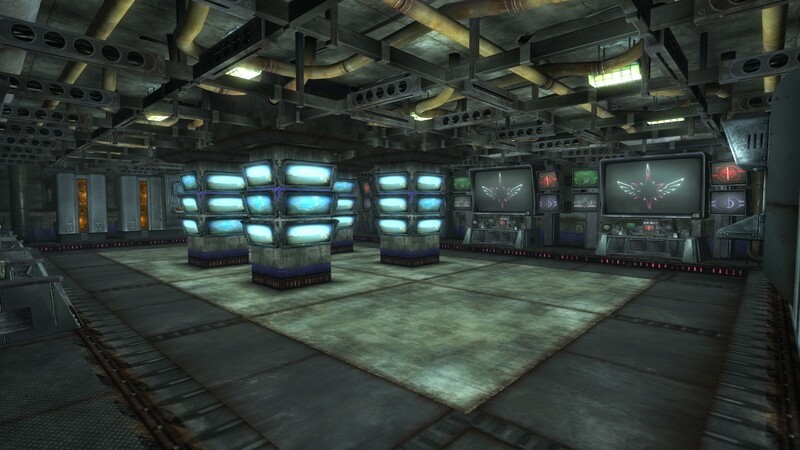 As for internal development, I’m so very happy to say that the largest level in all of GoE has FINALLY been completed. Sector 3 of the Rock Farm is central home to the most advanced weapons and armor prototypes developed by Equestria before the bombs fell. 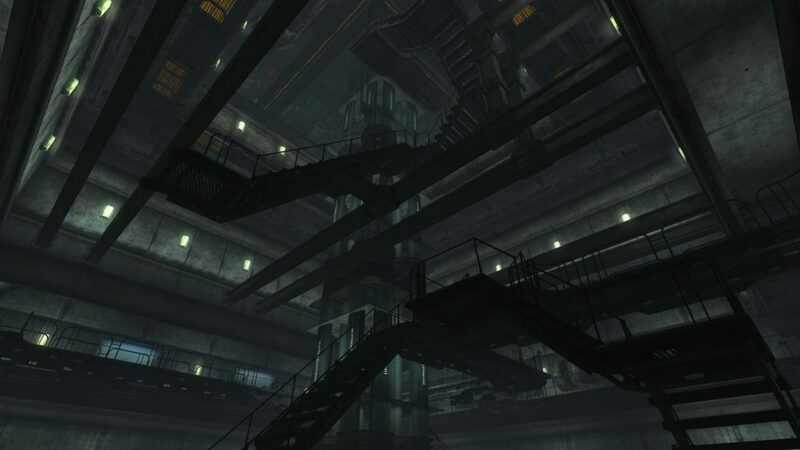 A massive vertical level that spans twelve stories with an enormous experimental power core dominating the center shaft, this is where you’ll discover the HARMONY-Series Power Armor based off the Ministry Mares, the experimental weaponry you’ve had a glimpse of in Smuggler’s Run and so very much more. While originally designed as one massive interconnected level, I eventually split it up so it wouldn’t turn computers into smoldering heaps of slag trying to load everything! (Seriously, it would take about a full 1-2 minutes to load properly in the GECK…I realized it would crash less powerful computers in-game). Now, Sector 3 is actually compromised of over 10 different cells (levels) while still keeping the massive internal structure of the central core intact! What? I can’t show you all the good stuff right now or else there won’t be any surprises! (Though frankly, I think you’ll be blown away by the sheer audacity of the GRF). Finally, I was hoping to have one more surprise for you, but it looks like that will have to wait. I may break the Thursday Post rule to reveal this little bit of side work. And before you think that I do more work on side projects than the game itself, it’s how I take my breaks! When working on a project like this, it’s extremely easy to hit burnout. It’s important to pace yourself. So there! Anyway folks, I hope you’re all doing great with all this Fallout goodness coming your way. Don’t worry, we’re still launching This Coming Storm for New Vegas. We’re going to have a damn good reason to come back to New Pegasus. I promise. Novel Idea here with a surprise Tuesday-edition post. 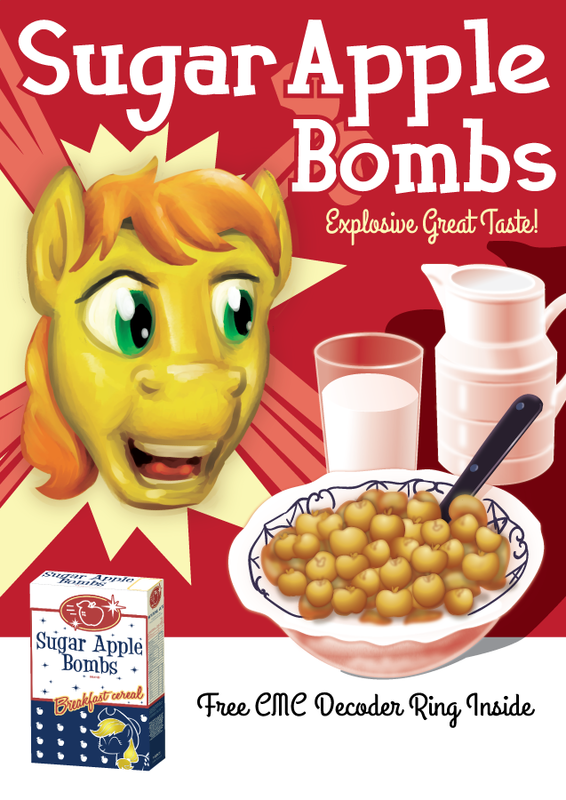 We here at the Manehattan Project decided we wanted to do a little something to celebrate Fallout 4’s release. 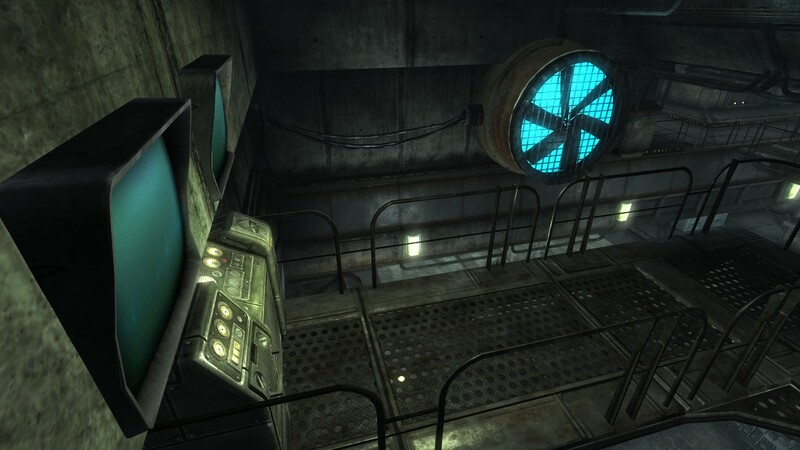 While we are still in development of GoE: This Coming Storm for Fallout: New Vegas, GoE: Racing Apotheosis for Fallout 4 is definitely on our minds today. While we’re not ready to share details about some of the great features we have planned in GoE 2 for Fallout 4, we couldn’t let this day go past without a little something. So today, we’re releasing the next two chapters in the YouTube edition of the Fallout: Equestria (The Manehattan Project) audiobook. But that’s small change. The big one is that we’re revealing the ambient score for the Topaz Lake area and levels today! You’ll likely notice that we have a new and much cleaner style for our music sketch videos designed by Novel Idea. We’ll be updating our other videos soon with this new format and hopefully more! Our music, as always, is from the incredible talent of Corvus. 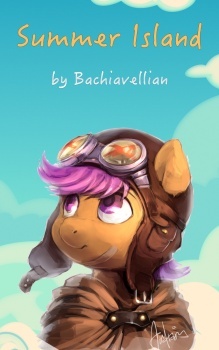 The Manehattan Project Update #18: More Book! I’m sorry to say that I don’t have anything quite as exciting as two new Environment Preview Trailers this week. After all, we can’t show you everything we have in store. That would make us a big old surprise-ruiner (See “The One Where Pinkie Pie Knows.”) To be honest, I’m at about 50% of Pinkie Pie crazy with some of the secrets we have in store. Seriously, it’ll blow your mind. To the best of my knowledge, many of the things we’re doing have never been done before! 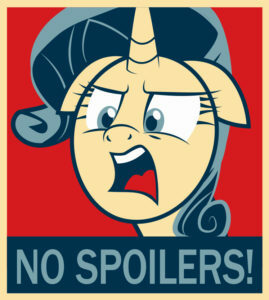 As an aside, can I just say that I was happy about a zany Pinkie Pie episode? I’m still trying to recover from the emotional roller coast of “Crusaders of the Lost Mark.” Seriously, the CMC won Season 5 hands down. Anyway, all this crazy new stuff is also why it’s taking so dang long! But we want this to be done right, so we’re going to do it right. Don’t worry, GoE 2 for Fallout 4 will still happen. The expected launch date of the Creation Kit is next year anyway. So we have plenty of time before the modders start reassembling Boston. Speaking of which, if you have a good Ponified name for Boston, let’s hear it. Because I got nothin’. So first thing’s first. If you haven’t seen the new Environment Preview Trailers, shame on you! But that’s okay because you can rectify that error right now! So we don’t have a lot to share at the moment. We’ve had a bit of a hiatus lately while many of us have been dealing with a great deal of real life stuff (myself included). However, I’m very happy to say that it looks like some folks who needed some time away are coming back. And I don’t know if I mentioned this before, but we have a new major player on the team! Okay, now I know I haven’t been great at the whole three a week audiobook thing on YouTube and I’d like to apologize. Believe it or not, it’s harder to put together than it looks. It’s also somewhat time consuming. But we’re fixing that now! 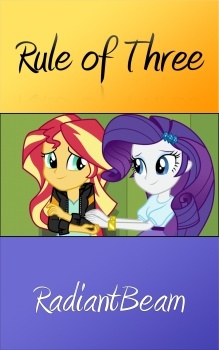 So have three! That’s all for this week folks. Have a wonderful day and stay safe out there! The Manehattan Project Update #17: Environment Preview Trailers! 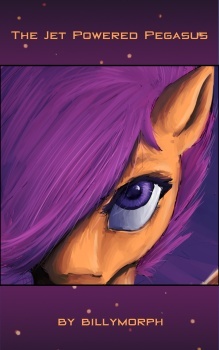 Hello everypony! Novel Idea here with a very special update for you and some really cool new treats that we’ve been saving just for today. First thing’s first though. 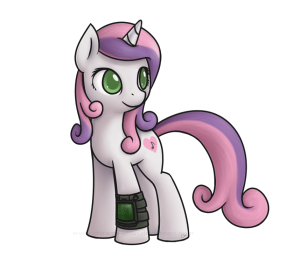 I’m sorry to say that we will not be able to release Gardens of Equestria: This Coming Storm before the launch of Fallout 4. As to why, let me start by saying the launch date annoucement of Fallout 4 caught us somewhat off-guard. We were expecting Q1 2016 or something similar. Suddenly we found ourselves in a time crunch. The Directors took a long look at the project and decided that we would split things apart. This was the beginning of GoE: This Coming Storm and GoE: Racing Apotheosis. We didn’t want to focus everything on Fallout 4 as we already had an enormous amount of work already invested in the Fallout: New Vegas GoE experience. It was work that couldn’t transfer to Fallout 4. Now we could have just taken everything we had, thrown some random enemies in there for you to shoot and just call it a day. But we promised you a story-driven experience and we wanted to honor that. Now, a few weeks before the launch of Fallout 4, we wanted to show you what we’ve been working on for all these months. But wait, there’s more! In Trailer 1, we’re covering the Appleloosa Valley Entrance, the Overlook, Topaz Lake, New Appleloosa and the Primm Basement. In Trailer 2, you’ll be seeing Stable 16 and the Rock Farm exterior along with the Rock Farm Sector 0 and Sector 1. Please note that all of these levels are works-in-progress so there are a few hiccups here and there. These are only about half the levels we have in store for you! 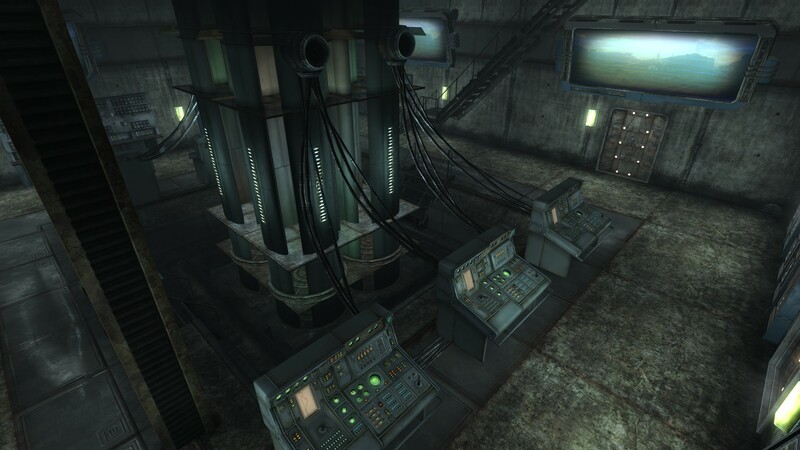 We still have the lower levels of the Rock Farm, all of Stable 207 and the Gateway Research Facility. We are structually done on about 95% of all levels and we’ve created the scripting for the prologue and the first three chapters. We’ve also got a fair amount of recording done for our characters. While we’re not at a point when we can pin down an exact release date for you yet, we will let you know as soon as we have something. If you like what you see, feel free to drop us a line at our here on our website, Nexus Mods with our preview mod, Smuggler’s Run, Twitter or on YouTube. We’re also always looking for more talent. If this looks like something you want to be a part of, head on over to our Recruitment Page and let us know! Next week we’ll be getting up the next few chapters of the “Fallout: Equestria (The Manehattan Edition)” audiobook as well. We will also be releasing our fourth and final edit of the audiobook in the near future. Until next week, stay safe out there! The Manehattan Project Update #15: Super Preview Day! Good afternoon fillies and colts! Novel Idea here. I know we’ve had some quiet weeks in the last couple months. Well today, we’re going to make up for that. And then some! Today I am very proud reveal remastered editions of the Smuggler’s Run theme and brand new music from the Mysterious Cave level, the Appleloosa Valley worldspace and finally, The Rock Farm, Sector X! Please remember that all of these are in development so they may change before release. In addition, I have some gorgeous new screenshots for you from Appleloosa Valley! With the help of the Nexus Mod Authors, it’s finally shaping up to be something really cool. Here’s a few shots of some various areas, including the Rock Farm and the Overlook. I hope you enjoyed this special preview. We’re also releasing the next three chapters of the Fallout: Equestria (The Manehattan Edition) audiobook on YouTube today! Have a great day and stay safe out there folks!